Patrick Bamford returned from injury to send Leeds United back to the Championship summit for at least a few hours as he scored the winner in a 1-0 victory at Bolton Wanderers, while sixth-placed Middlesbrough lost 2-1 away to QPR. Striker Bamford had been out since the end of August due to a knee injury, but he needed just five minutes to make the difference at Bolton to send Leeds back above Norwich, who face Bristol City later on Saturday. Middlesbrough's difficult run continued with a defeat to QPR, though Aston Villa and Stoke City missed the opportunity to get right on their heels, as they drew 2-2 in Birmingham. 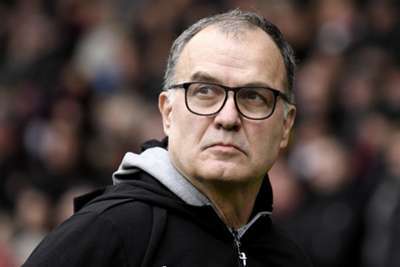 There was also a 2-2 draw in Blackburn, as Birmingham City came from 2-0 down to secure a point, while Swansea City's 2-1 win at home to Sheffield Wednesday saw them close to within four points of the play-off places. An outing with Leeds' Under-23s in the week would have boosted Bamford's confidence ahead of the trip to Bolton, as he scored a hat-trick for the club's second sting. After that, he needed little time to make an impact following his introduction from the bench in the 61st minute, racing on to a Pablo Hernandez pass and coolly slotting home. Bolton felt they should have been given a penalty seven minutes from the end when Kalvin Phillips tangled with Craig Noone. But Leeds escaped to clinch a scrappy fifth successive victory in the pouring rain, putting the pressure back on Norwich ahead of their trip to Bristol. Tony Pulis' Middlesbrough failed to win for a fourth successive match on Saturday, as they went down 2-1 at QPR. Pawel Wszolek gave the hosts an early lead when prodding home, before George Saville levelled things just after the break with a fine strike from the edge of the box. That did not last, however – Nahki Wells restoring QPR's advantage soon after and the away side never found a way back. The result leaves Boro just two points ahead of seventh-placed Nottingham Forest, who travel to rivals Derby County on Monday. Ipswich Town claimed their first win under manager Paul Lambert as they defeated Wigan Athletic 1-0 at home. Lambert took charge of rock-bottom Town at the end of October and went into Saturday's game on the back of four consecutive defeats. Freddie Sears got the only goal of the game 23 minutes from the end, his deflected effort settling a game that was impacted by the miserable conditions in East Anglia. Lambert hugged every Ipswich player at full-time, such was the relief brought by victory, and they moved to within five points of safety, as Millwall lost 3-2 at Preston North End and Reading drew 1-1 away to Rotherham United.